Chronic myelogenous leukaemia (CML) has a high mortality rate of 20%-30%, two years after a confirmed diagnosis. Approximate 25% of patients with CML die every year and the average survival time is just 3 to 5 years. The age of onset ranges from 20 to 50 and in China, there are 30,000 new cases diagnosed each year. Gleevec therapy alone can alleviate the condition in many patients suffering from CML. However, because of extensive usage of Gleevec, it is becoming less effective. Some CML patients are inherently resistant to Gleevec, and some respond to Gleevec in the beginning, but acquire secondary resistance over the course of the treatment. 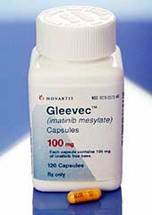 The major cause of resistance to Gleevec is a secondary mutation in the kinase domain of target gene expression products. Research indicates that the common point mutation sites related to Gleevec resistance include E255K, E255V, T315I and D276G of Bcr-Abl and D816 of c-KIT. The Bcr/Abl, T315I mutation, one of the obstinate drug-resistant mutations is the most common mutation, representing about 20-30% of all cases. The clinical drug resistance mediated by the T315I mutation of Bcr-Abl remains a significant medical problem and at this time there are no drugs targeting the T315I point mutation on the market. 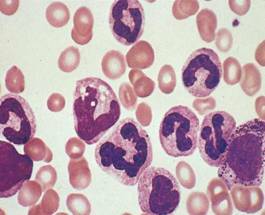 As a result, it is urgent to develop novel drugs for the treatment of this type of drug-resistant leukaemia. Using the principles of rational and computer-aided drug design, a project team led by Dr Ke Ding has successfully designed and synthesized a series of leading compounds with strong intellectual property. Among them, the compound GZD824 show good drugability and development prospects, which has been applied patent-pending (201010216603.7, PCT/CN2011/00935). The bilogical activity studies have shown that: 1) GZD824 inhibited Bcr-Abl and Bcr-Abl T315I with IC50 values of 1.0 nM and 12 nM, respectively (Gleevec, nilotinib and dasatinib IC50 values> 10 uM). 2) GZD824 inhibited K562, Ku812 and drug resistant strains Ba/F3 T315I with IC50 values of 0.24nm, 0.46nm and 9.6nm. 3) GZD824 has a good anti-tumor activity in vivo, For example, in K562 and Ku812 xenograft animal model, the oral dose 2-5mg/kg/day can completely eliminate the tumor; in mutations of Bcr-AblT315I animal models, oral administration of 20mg/kg/day dose can completely eliminate the tumor, and significantly prolong survival time. 4) GZD824 has good oral bio-Utilization (58.7%), half-life (T1 / 2 = 8.7 hours) and steady-state plasma concentration. 5) GZD824 has good security (LD50> 140 mg / kg), and 50μM concentrations does not inhibit HerG ion channel. In summary, GZD824 was discoveried as a new class of anti-leukaemia drug candidate by GIBH, with completely independent intellectual property rights. Preliminary pharmacodynamics, pharmacokinetics and safety evaluation studies have shown that GZD824 has good development prospects, strong activity, and can effectively overcome Bcr-Abl T315I mutation. The development of GZD824 has won several awards in China and is supported by The National New Drug Innovation Project. The results on the development of GZD824 are published in Journal of Medicinal Chemistry [J. med in Chem 2013, 56 (3), 879-894; J. med Chem. 2012, 55 (22), 10033-10046]. Currently GZD824 has been identified as a drug candidate and ongoing preclinical evaluation is being carried out to further test the compound. 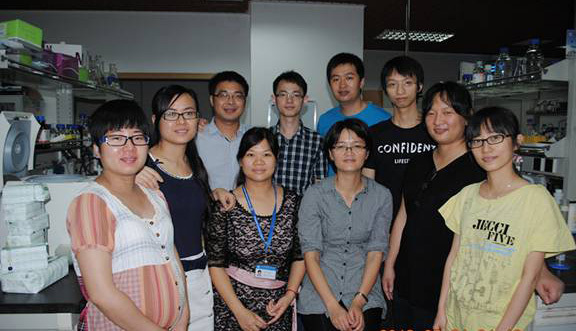 Related patents have been transferred to Guangzhou Shun Jian pharmaceutical company for late stage development.